Can slow cooker food be consumed after two nights? Reader Chloe Chia wrote in to askST: "Can food cooked continuously for two nights in a slow cooker be consumed for more than two nights?" She cited food such as soup and worried that there might be bacterial growth in the food. Senior Health Correspondent Salma Khalik checks with the experts at the Agri-Food & Veterinary Authority of Singapore. Yes, if the food remains in the cooker which is kept on at 75 deg C or higher. No bacteria will take root as long as the food is kept consistently at this temperature. 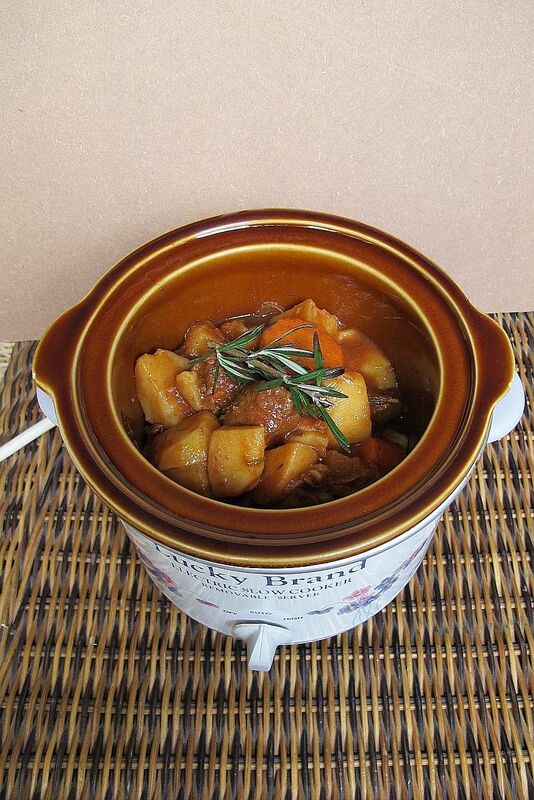 The Agri-Food & Veterinary Authority of Singapore (AVA) recommends setting the slow cooker to the highest setting for the first hour before reducing to the desired temperature setting. The lowest setting in a slow cooker is normally 77 deg C.
Once the food is transferred to a fridge, however, bacteria can start growing if it is not stored properly, said the AVA. Leftover food should be stored in shallow, small containers at 2 deg C to 4 deg C. This is so that all parts of the food are cooled to that temperature. Cool food to room temperature before putting it in the fridge, as hot food would raise the temperature in the fridge and could affect other food already stored there. Bacteria grow most rapidly at temperatures of 4 deg C to 60 deg C.
You can hasten the cooling of the food by putting the food in cold or ice water. The containers should also be air-tight to keep bacteria out, the moisture in, and to prevent the leftovers from picking up odours from other food in the fridge. Before eating the refrigerated food, reheat it to at least 75 deg C to kill off any bacteria that might have grown. The AVA said leftover food that has been exposed for two hours or more should be thrown away. The time limit is shorter if the food has been left outdoors at temperatures of over 32 deg C, as bacteria multiply faster at higher temperatures. This is because bacteria can multiply rapidly at room temperature and produce heat-stable toxins. Even bringing such food to a boil may not destroy these toxins, which can cause food poisoning.